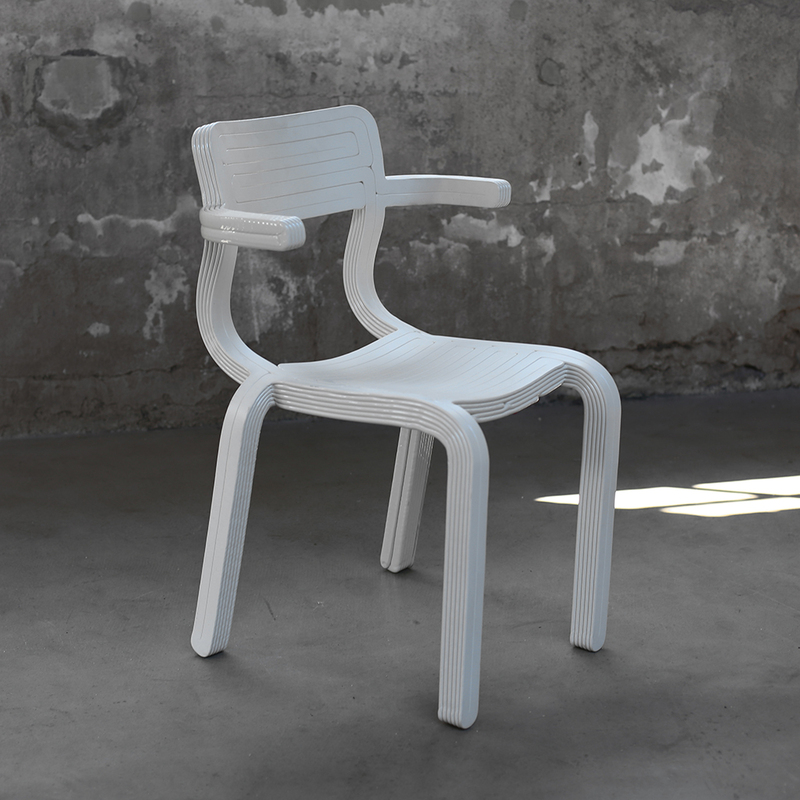 Dirk van der Kooij’s RvR Chair is a stackable chair. 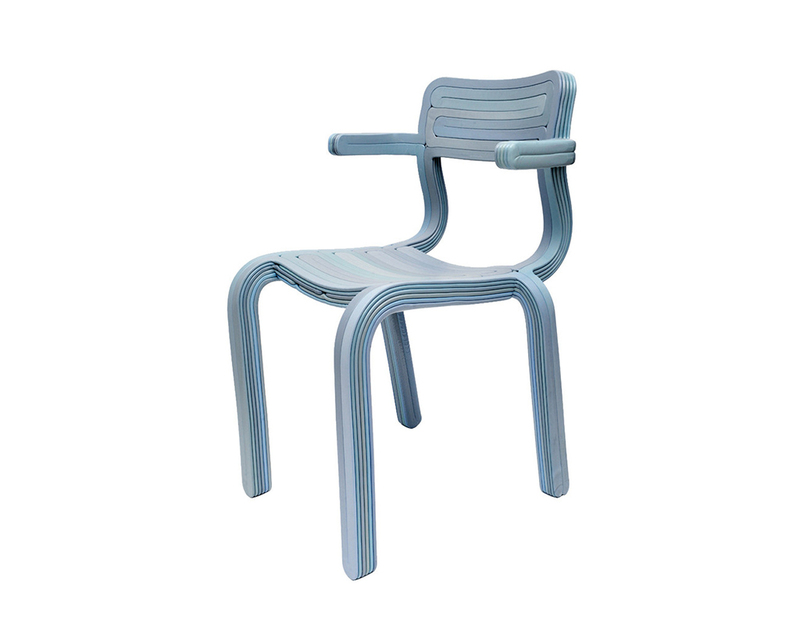 His Chubby Chair provided the basic principle, except that the RvR Chair is made in one piece. Thanks to a new robot arm it is now possible to move the chair directly from the production plate to the mold, where it gets its final form. 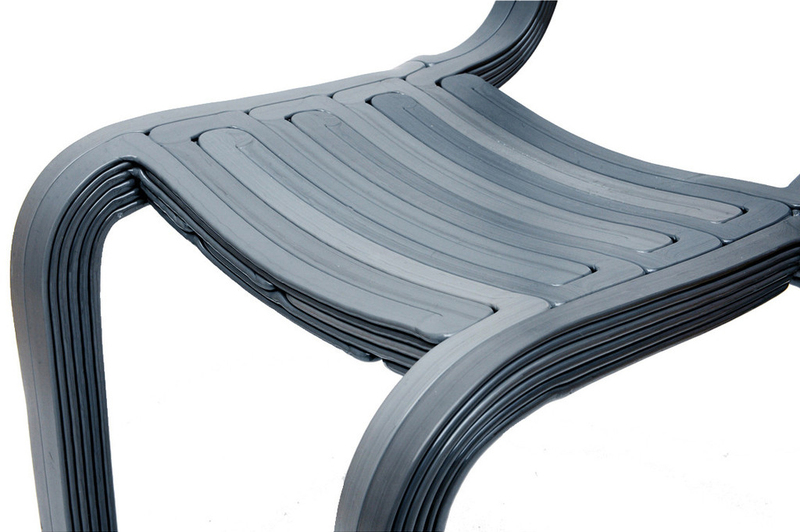 The result is a layered line pattern of intertwining legs and armrests. 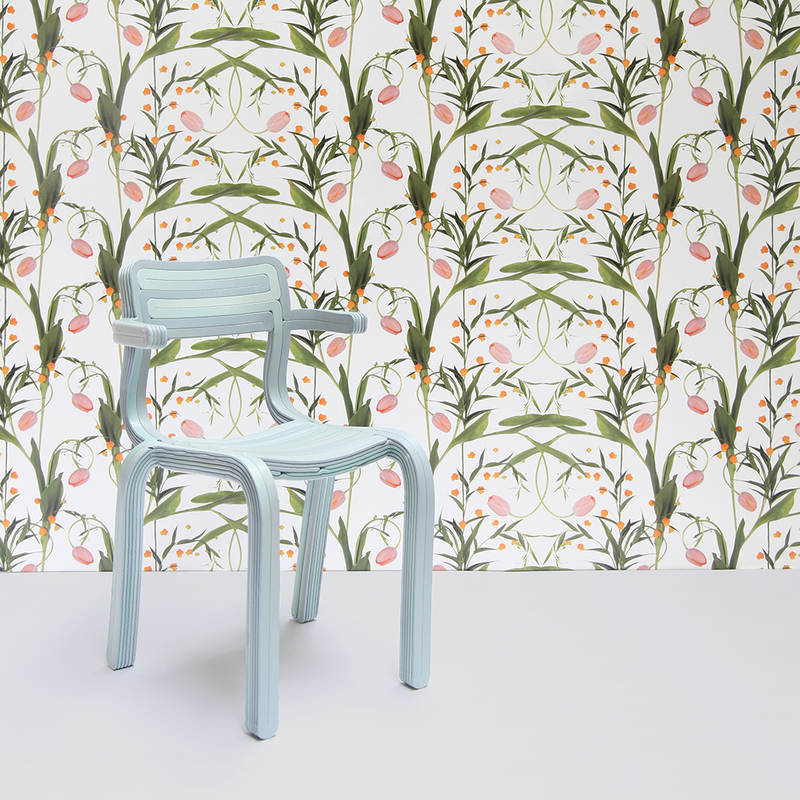 Moreover, the interplay of lines reveals how the chair is made.